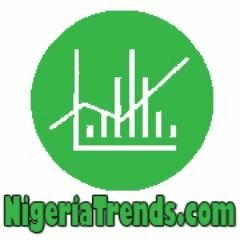 NigeriaTrends.com — It is no longer news things have gone sour between popular Nigerian music duo – Peter and Paul Okoye of Psquare. Though many did not see that coming. Peter Okoye have since moved on with his own new management, and was seen performing on stage without his twin Paul. Does it mean this is the END of one of Africa’s finest pop duo, Psquare? After weeks of social media drama, dropping a solo song and ranting, Peter Okoye has finally made his debut as a solo act under the name ‘Mr P’. Peter Okoye performs in Abuja alone without his twin brother. Last night (March 13), Peter Okoye ‘Mr P’ performed at a night club in Abuja without his twin brother, Paul Okoye. He’s also slated to perform alone come April 7, 2016 in Dubai. Peter Okoye of Psquare performs in Abuja with Paul. The PSquare brand have been managed by their older brother Jude Okoye for years, in short – over a decade. Peter is fed up with how poor Jude has been managing PSquare and wants to get a new management. However, Jude ‘engees’ Okoye is insisting he must remain the duo’s management; this is said to be the reason for the group’s breakup. If all the brouhaha was only a management issue, why is Peter performing without Paul? Personally (like their song), the NigeriaTrends.com team thinks fans should stop patronizing Peter and Paul until they settle their differences. There is strength and success in their unity. As the popular saying goes – together we stand, divided we fall. One Love.? Who will mend Nonso Diobi’s heart?